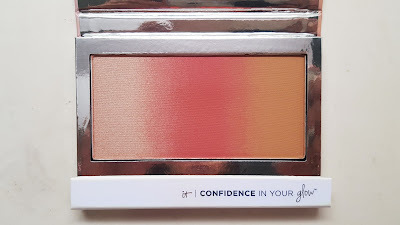 IT Cosmetics has done it again. 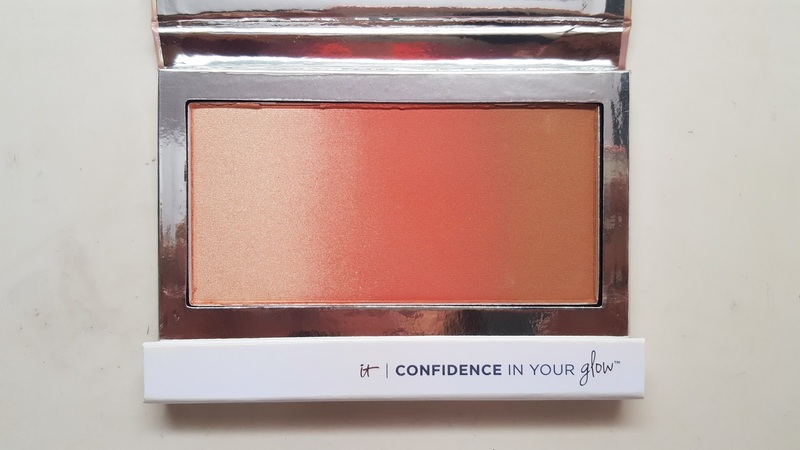 They've come out with another extension in their Confidence series: Confidence in your Glow featuring a blush, bronzer and highlighter in one sweep of product. And OMG I have brush fever, their new brush is everything. Check it out! What I love about IT Cosmetics is that their makeup is always infuused with high performance anti-aging ingredients. 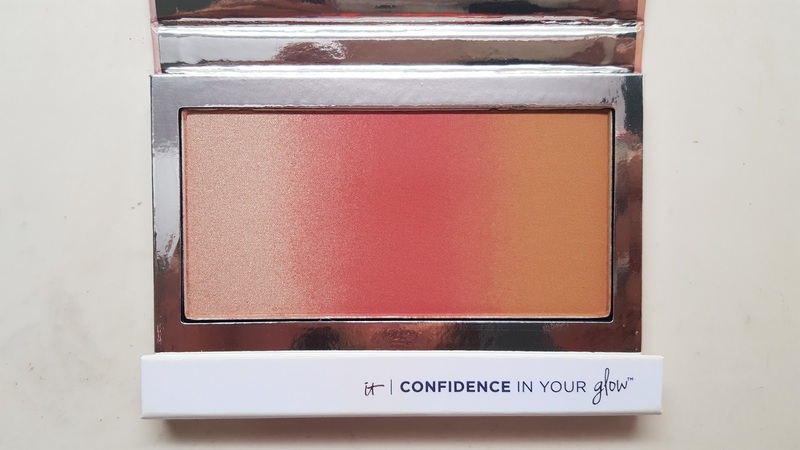 This product is talc free, contains vitamin c, and smells like oranges! 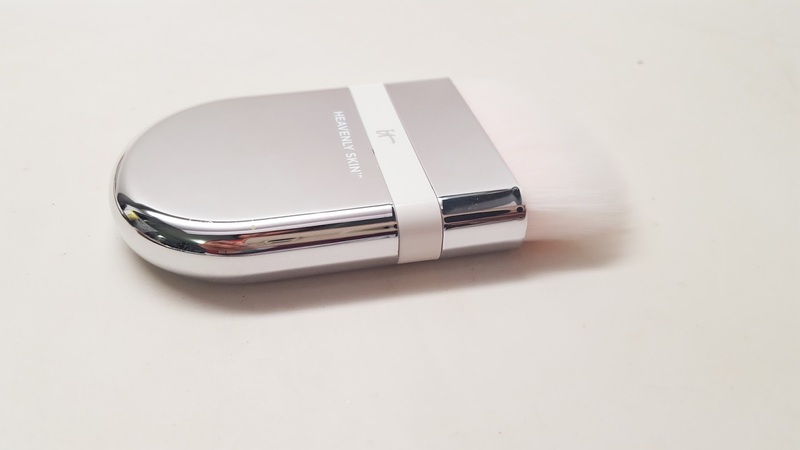 The bristles are super soft and they taper so finely that you never go over board with product...it's a perfect blend. 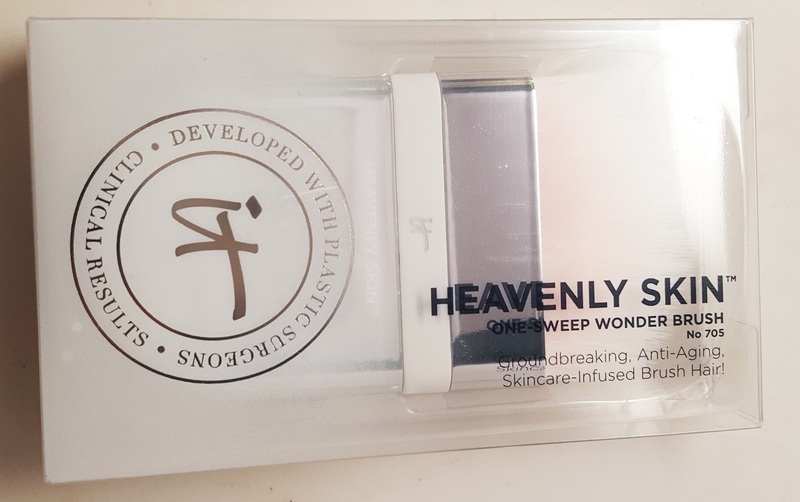 I've never seen a brush like this before, it's amazing. And swatches. Each stripe is swatched individually and then together to the right. I like applying everything in one sweep then I'll go back and individually apply each section if I want more of that shade...i.e. more blush or more highlight. 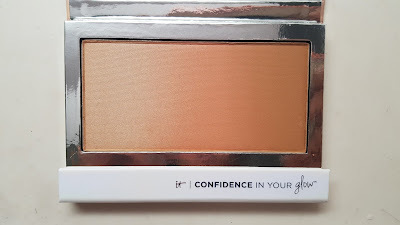 The only thing missing from this collection is an additional shade extension that would work on deeper skin tones. Crossing my fingers for that! In the meantime, I'm loving all of these shades and will be rotating each one into my collection. 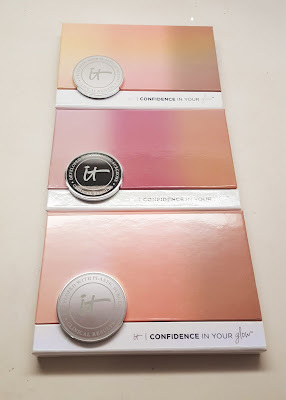 This new line is available at Ulta, QVC or www.itcosmetics.com and is out now! $1000 Makeup Artist Starter Kit Giveaway! Welcome to Makeup By Ren Ren! New Hair Cut and Color!